(Boston, MA) The CBS television special A Charlie Brown Christmas, which premiered in 1965, has long been a holiday favorite of mine. Before I understood its sophisticate themes or even its dialogue, the adorable cartoons, slow jazz, and children’s voices were instinctively and irresistibly soothing. Decades later, Charlie Brown’s dark horse demeanor and romantic ideals still hold up as a paragon of optimism in a world that makes it so easy become disenchanted and give up our hopes and dreams. In A Charlie Brown Christmas, our eternally hapless hero is the only person he knows who believes that Christmas is more than a commercial enterprise in which everyone is out trying to get their “fair share”. 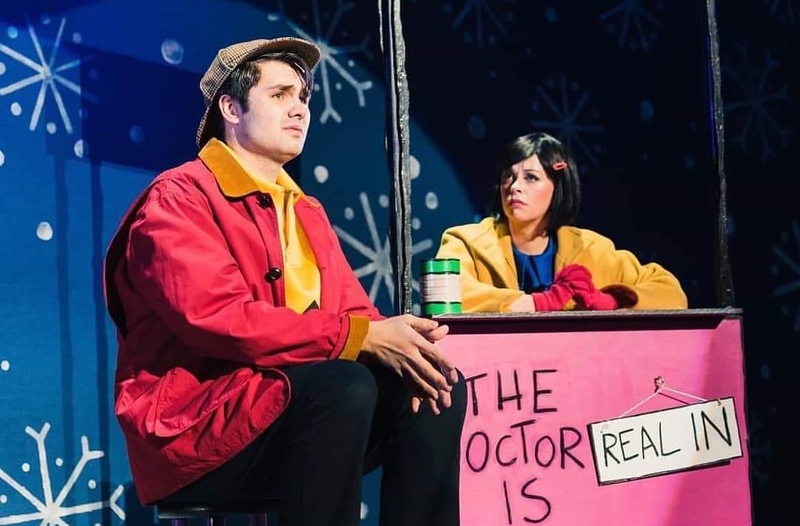 Despite being constantly bullied and told by everyone in his life that he is wrong, Charlie tries to convey the true meaning of Christmas to his family and friends through a school play, and a tree as sad and lonesome as he is. Just when he thinks he’s failed, wise Linus turns things around with an applause-worthy monologue and everyone comes together in a heartwarming celebration of love and friendship. Charlie Brown’s underdog character is universally relatable, and the guileless kid logic of his still-relevant Christmas story would melt the heart of the crankiest humbug. This live action touring production, which includes a three-piece jazz band, truly captures the spirit of the cartoon classic. The performance was 100% true to the original down to the actors’ voice inflections and facial gestures. This edition goes beyond most others, with an hour of extra material, mostly in song and dance form. There’s most slapstick humor and Snoopy gets his own extended acrobatic number. Also, because the performers were adults and not cartoon children voiced by real children, they conveyed more explicit disapproval and angst than in the original version, which lent a subtley darker tone to the entire show. I’m not sure if the younger audience member could pick up on this, but it definitely changed my perspective on Charlie Brown’s wallowing and Snoopy’s salty rebukes. My favorite part was how they added the full “play” that the characters were working on. This play-within-a-play turned out to be an extended Christmas song sing-a-long, which gave the audience the magical experience of briefly being a member of the Peanuts gang. The show seemed to be a joyful experience for people of all ages. A lot of children were in the audience and strangers young and old were chatting and getting to know each other during the show. A Charlie Brown Christmas is an enchanting addition to Boston’s holiday theatre tradition. There is something for everyone: it inspires nostalgia in every long-time fan and instills wonder in every newcomer. This entry was posted in Comedy, Musicals and Opera and tagged 1965, 2018, A Charlie Brown Christmas, Boston, Charles M. Schultz, Christmas, Diana Lu, Eric Schaeffer, jazz, MA, Schubert Theatre, The Boch Center, Vince Guaraldi by Kitty Drexel. Bookmark the permalink.